Ever wanted a super-lightweight grill that was tough enough for anything on the trail? 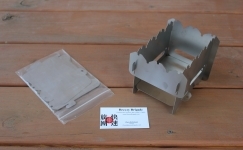 Check out our Mini-Grill, made completely from titanium! Slips into a sandwich bag, yet pops together in seconds. 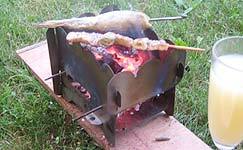 Just gather some dead branches roughly the size of your thumb, start a fire in the bottom, and use extra tent stakes to make your grill on top. Perfect for kebabs! Rinse and dry it after you're done, then slide it back into the bag. We need to come up with a catchier name for this item, so please email your suggestions here. Winner gets a Breezy Brigade t-shirt! 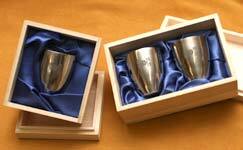 Perfect for those required "camping beverages" are these super-lightweight, super-neat, titanium "shot glasses". 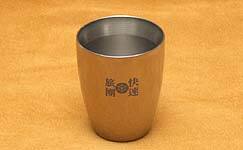 Originally made by our metal products supplier as a gift (and to show off their abilities), we decided that this would make an excellent item to offer to our customers And it has been received well! 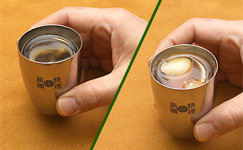 Amazing double-wall construction keeps cold drinks cold, and hot sake hot. 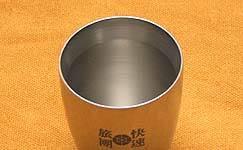 The special lip at the rim makes every sip a smooth one. 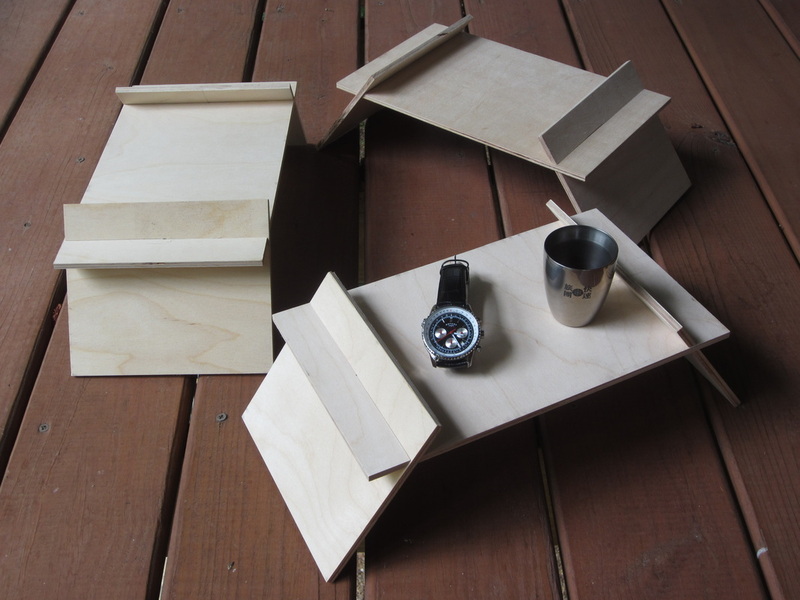 An optional wooden gift box completes this great gift for your favorite camper. If you don't keep them for yourself, of course! A very simple and very light collapsible table to get your dinner off the floor. Goes great with many camping chairs, such as the Baby Duck or Kermit Chair. Now made in Tennessee! 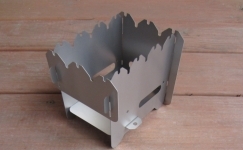 This handy little item is an element that sits on top of your camping stove, converting it into an efficient heater. 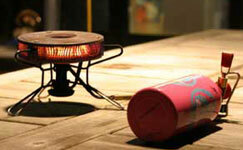 Great for warming the tent or a small room, and drying out your wet hiking, riding or hunting clothes. This simple attachment can heat a one-meter-square area quite comfortably. Easier to pack than firewood. Easier to use than an axe! 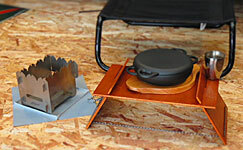 As with any time you use a camping stove, don't use the heating attachment in a closed space. Whether you're cooking or heating, camping stoves eat oxygen and leave you with nothing but carbon monoxide, which you can't breathe. And of course, these can get very hot to the touch! 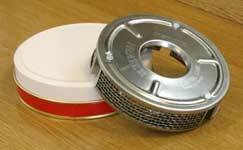 Which is why we include a handy wire handle so you can remove the element from the stove when it has been used. 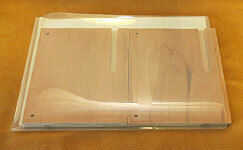 If you are interested in a bulk purchase of Manaslu Heating Attachments, contact us for a quote!